Kimi Raikkonen doesn’t believe the addition of a new simulator at Lotus’s Enstone factory will provide any real benefit in terms of pace or developments. The former Renault outfit has upgraded its facilities including its simulator in a bid to match rivals teams. The Finn though says he prefers to do his learning at the circuit rather than at the factory. “I just think that I can learn nothing in the simulator,” the 33-year-old is quoted by Switzerland’s Speed Week. 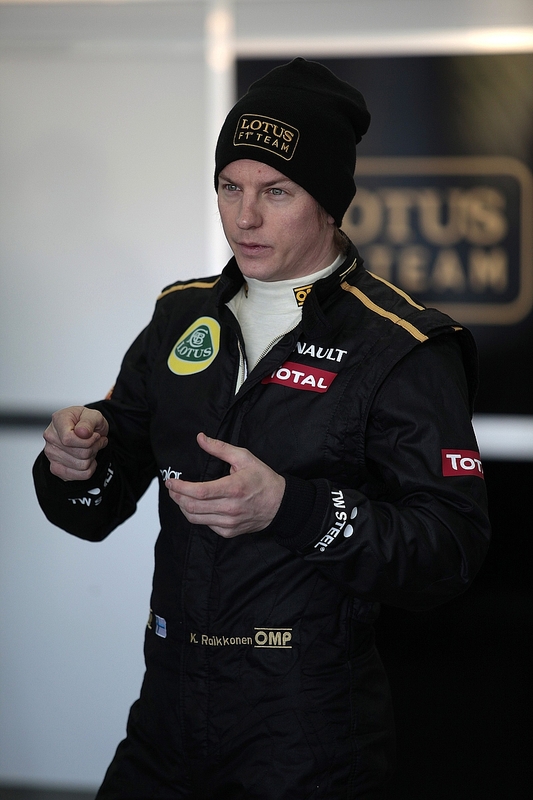 “I learn a new track quickly, without a simulator,” added Raikkonen. The team finished fourth in the constructors’ championship after fighting for the drivers’ until the final few races of the year. Raikkonen believes they will only remain at such a competitive level if the whole team works together as it did in 2012. Jeeeeez! Look at Kimi’s eyes in that picture! Total concentration! Amazing!!!!! Everybody, who has listen in Kimi´s sayings, knows, that everything about the race he´s learning on the track; also about a new tracks for him. And he has proved, this method is the best, befits for him the best way! Keep going, Kimi!! Many thanks, Saima!! Hmmm…..the guys in front all train in elaborate simulators. It’s important practice for they and the entire team. They also model and test part ideas in simulators. There is no such thing as too much practice. This “I already know best attitude” isn’t a consistent path to the podium.